These Jurassic Park Goggles From Sideshow Are Definitely NOT For Kids. "Then they're expensive, put them back." Model replica masters, Sideshow are releasing an unusual replica. It's the Jurassic Park goggles that were supplied in each tour vehicle. You know the ones? The ones where Tim gets his grubby little hands on them to see what was outside using the in-built night technology. Much to the annoyance of the blood-sucking lawyer. 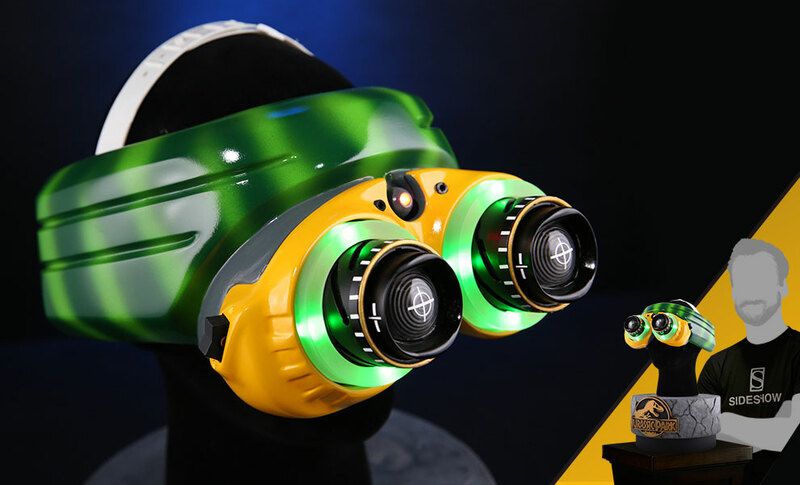 Now you will be able to own a screen accurate replica of the night goggles. The replica actually lights up just like the ones in the movie and when you look through them you can adjust them and you see the cross hair through the lens. 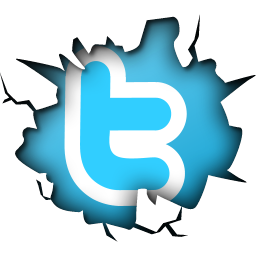 What you don't get (and understandably) is the actual night vision. Lets be realistic here, we can spare no expense but within reason, right? 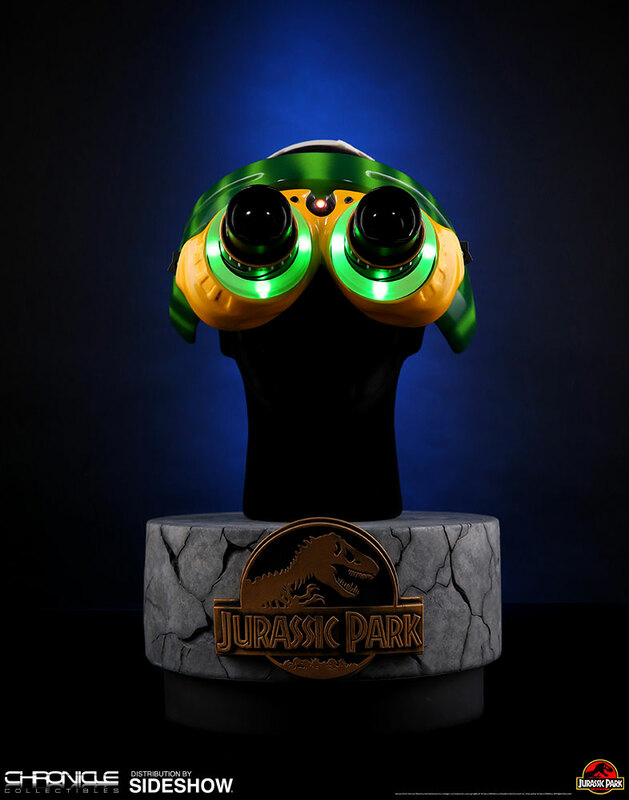 The 1:1 Jurassic Park Goggles have lenses that can be displayed in the open or closed position through two sets of inner barrels adjusted by manual control. With the open barrel, you can actually see through the goggles. When using the closed barrel, you will see the iconic cross hair pattern displayed on the outside. 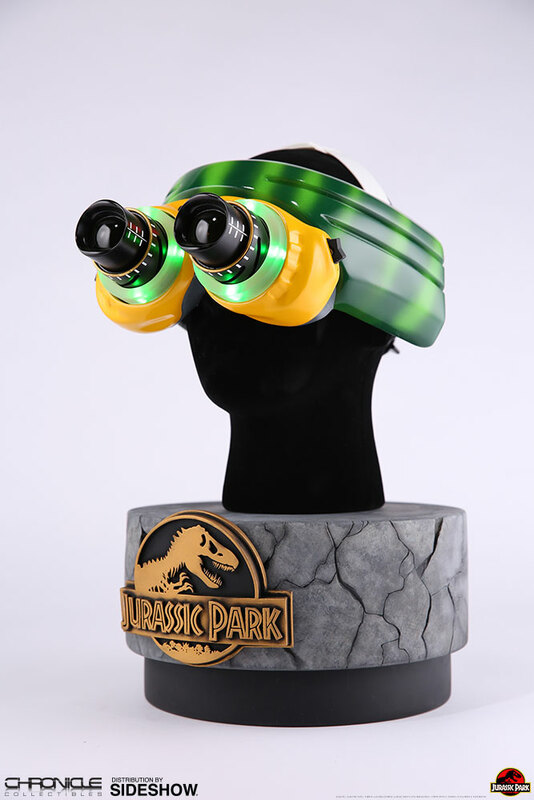 Order your own limited edition 1:1 Jurassic Park Goggles today to have the coolest life-size prop replica this side of Isla Nublar! 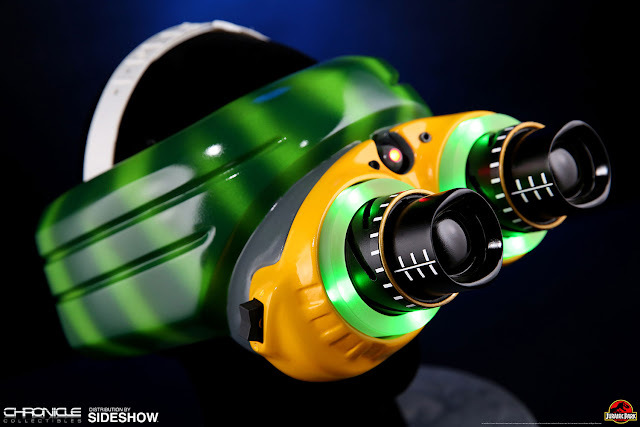 The goggles will set you back a T-Rex roaring $450 (£360) but come on? How much fun can you have putting these on display and telling people to put them back after you've asked if they're heavy? Expect them to start shipping around April to June, 2019. To pre-order yours and for more information, click here. **Update** Jurassic Collectables on Twitter skilfully pointed out to us that they probably meant Jurassic World as the other movie these goggles were in. Thanks for that Jurassic Collectables, you clever people you. I wonder if I can convince the wife. After all, Christmas isn't that far away.